The 5G-MoNArch project was represented with a booth at the Mobile World Congress in February 2018. 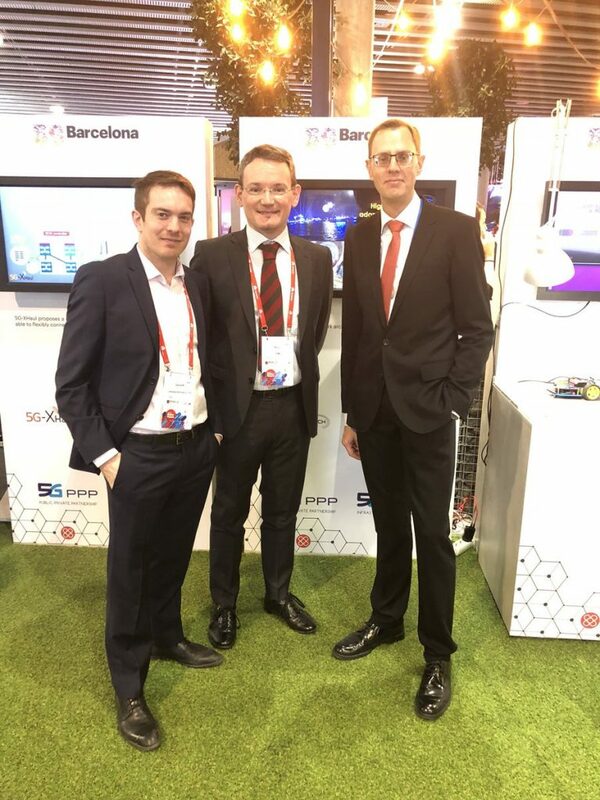 The booth was kindly hosted by MWCapital Barcelona, through the support of the 5G Infrastructure Association. 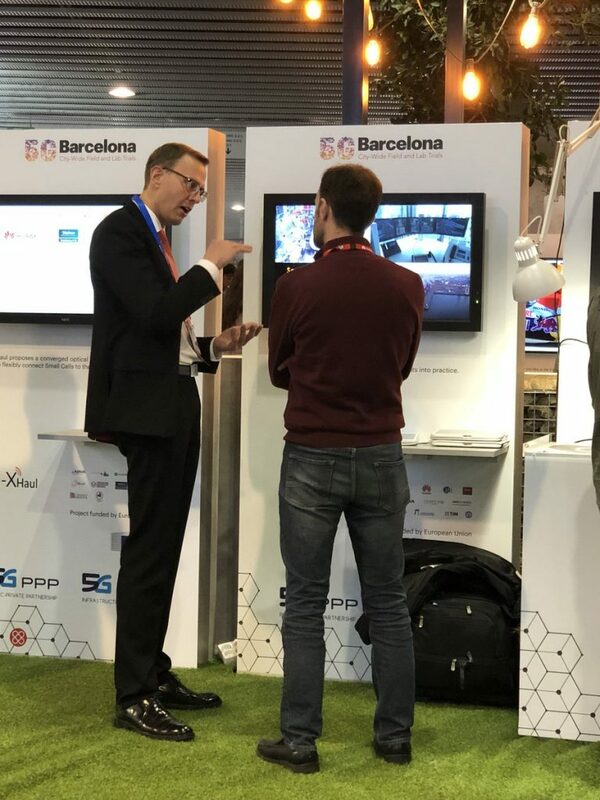 Besides the booth representation, 5G-MoNArch gave an overview presentation of the project at the auditorium of MWCaptial Barcelona. The project video shown at the booth can be obtained from the 5G-MoNArch Youtube channel. 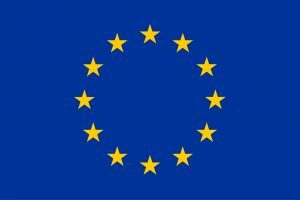 The main goal of the project presence at MWC2018 was to present the activities on E2E architecture and Network Slicing for 5G, and to illustrate the main objectives of the project, namely, how to apply concepts like network reliability, resilience and elasticity to the 5G E2E architecture, and how to turn these concepts into practice through the project testbeds.